Description: This grille was sold to me years ago as a Mk2 grille and indeed it does fit the Mk 2 opening. However is appears to be a Mk 1 grille with the center two vanes removed, therefore I couldn’t use it on my Mk2. The two holes at the top are spaced for a Mk 1 badge. 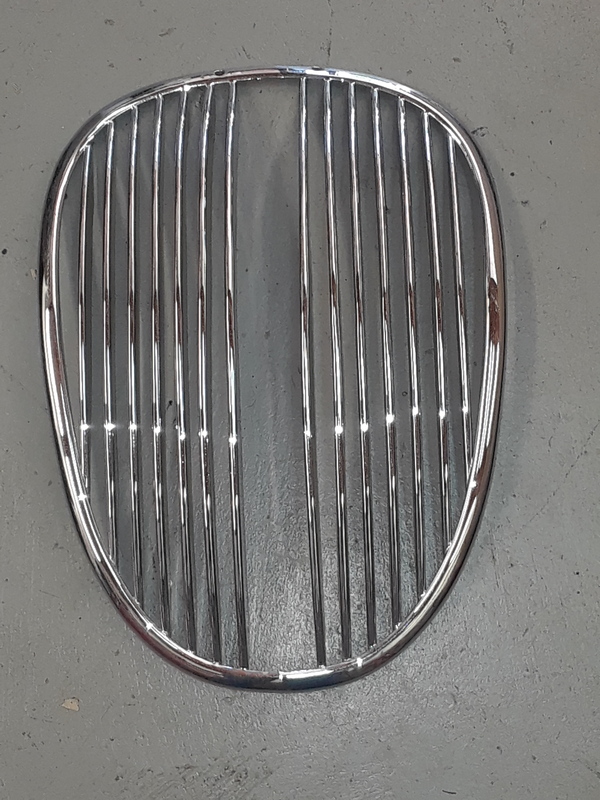 It is a shame that someone tried to make a Mk 2 grille out of this. It had been rechromed, there is no damage, the vanes are straight and nicely spaced. 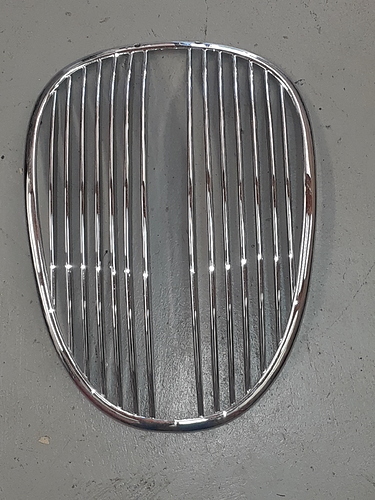 If someone can either use it as is or restore it to a Mk 1 grille, this would be a good purchase. I have no use for it and would like to see it go back on a car. Therefore I’m offering it at a very low price. Cost of shipping (if selling): Will ship USPS Priority Mail but don’t yet know how much that is. I won’t charge for packaging, just the carrier mail cost.